Zane Williams’s Double Take: A Rephotographic Survey of Madison, Wisconsin (2002) not only looks great on a coffee table, it shows how Madison buildings and street scenes changed over half a century. 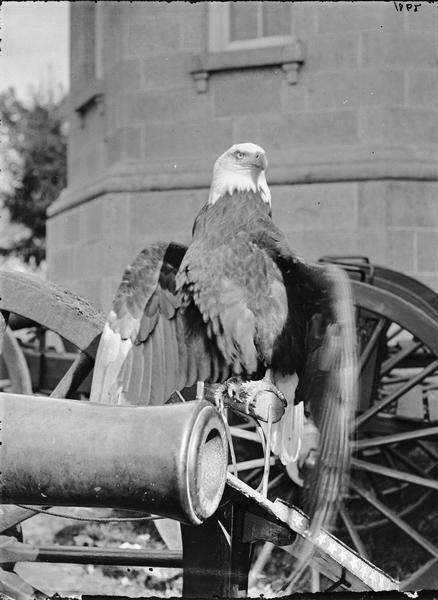 On each left-facing page we see large-format views by Angus McVicar, a commercial photographer, photographed between the mid-1920s and mid-1950s. On right-facing pages, Williams meticulously reproduces the same views in the late 1990s and early 2000s. McVicar shot “Park St. from Viaduct” in 1934 for a Capital Times story on the Greenbush neighborhood’s newly paved Park and Regent streets. Williams rephotographed McVicar’s view in 1998, and returned in 2000 after construction of a new underpass and viaduct. 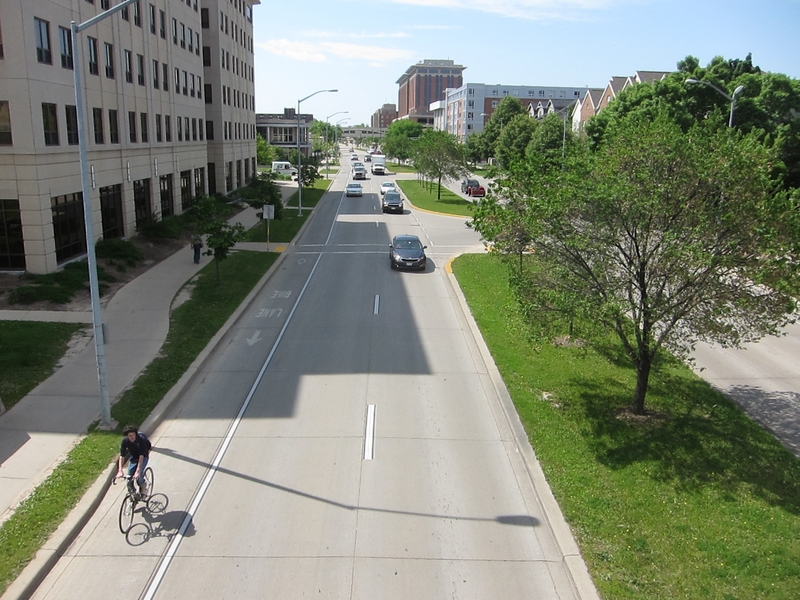 The camera location is now on the southwest bike path. The main difference from 2000 is UW’s 21 N. Park building, which houses the welcome center. The sound of sandhill cranes calling from skyward as they return to their summer nesting grounds is one of my favorite signs of spring. I usually hear sandhills well before I glimpse them high in flight, and sometimes I never see them at all. 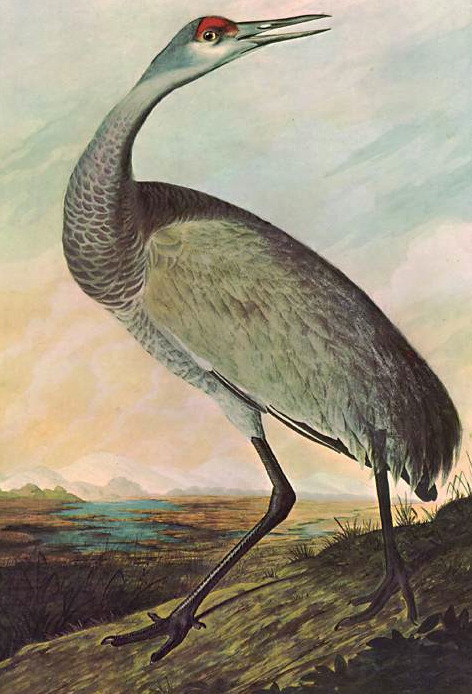 Once perilously close to extinction in the lower 48, the sandhill crane has made an impressive comeback and is now relatively common. Cranes use wetlands for nesting and agricultural land for foraging (Baraboo’s International Crane Foundation is a good place to learn more). 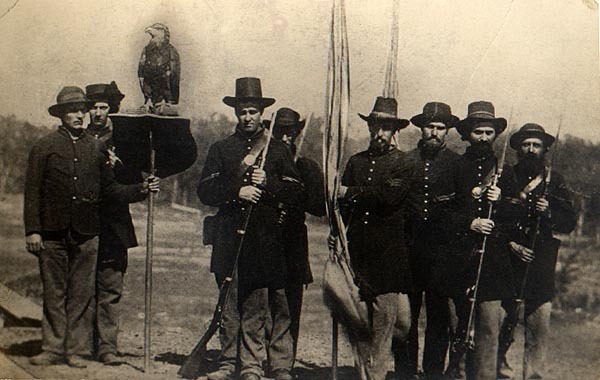 And there’s something about their call that stirs the imagination: haunting and ancient at the same time, it’s a southern Wisconsin version of the Northwoods call of the loon. Both species have been around for a very long time, with the sandhill representing one of the oldest surviving bird species, unchanged for at least several million years. It’s as if that ancient lineage can still be heard in their voice. It’s hard to imagine now that spring is in the air, but just a couple short weeks ago, Lake Mendota—and the other Madison lakes—felt like frozen arctic tundra. We can attest to this firsthand, as we took a lovely hike on the ice around Picnic Point and Frautschi Point. We were struck by the sense of vastness and solitude we encountered right in the middle of the city, and wondered how many Madisonians have had the chance to experience this wide and transitory landscape. Sharon Barbour, winter trekker extraordinaire and friend of Unseen Madison, joined us as we stumbled upon a few of Mendota’s hidden treasures. Here Sharon talks—of her own free will, we swear—about the hike and our sterling qualities. 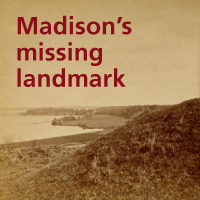 Was Madison Landscape imaginary or real? 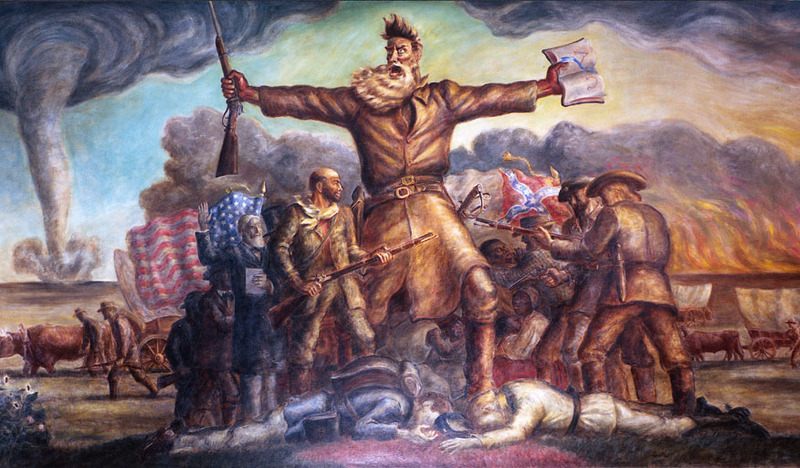 John Steuart Curry was the University of Wisconsin’s artist in residence when he finished this controversial mural of John Brown for the Kansas state capitol. The same year (1941), Curry painted Madison Landscape, now on view at the Madison Museum of Contemporary Art‘s Apple Pie exhibition. 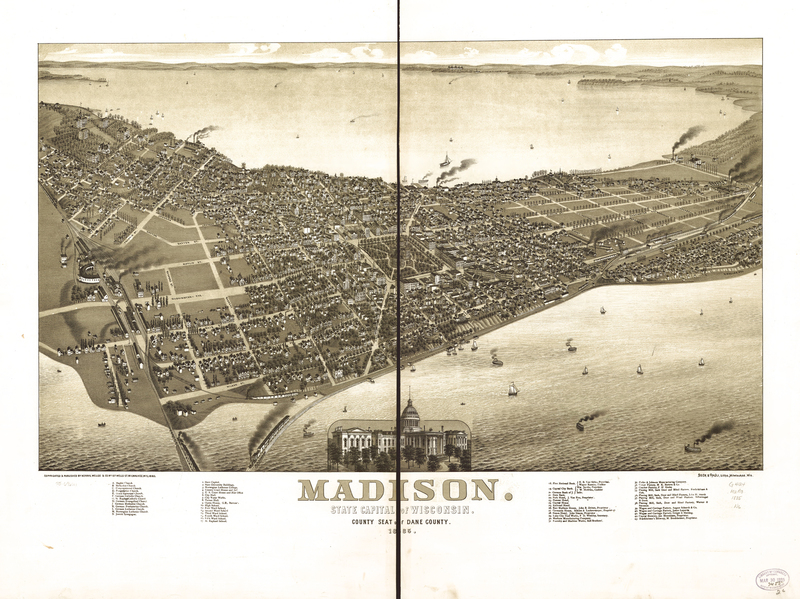 Amazingly, Curry’s perspective in Madison Landscape is almost exactly as if he set his easel on Dead Lake Ridge, the 80-foot moraine above Monona Bay that appears in our blog banner. 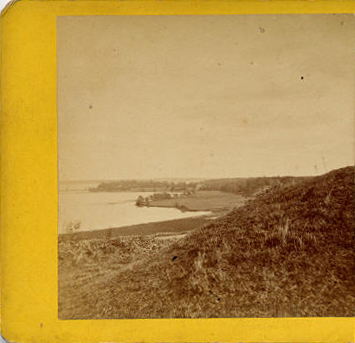 The ridge (covered with effigy mounds) was quarried for sand and gravel and disappeared by about 1915. 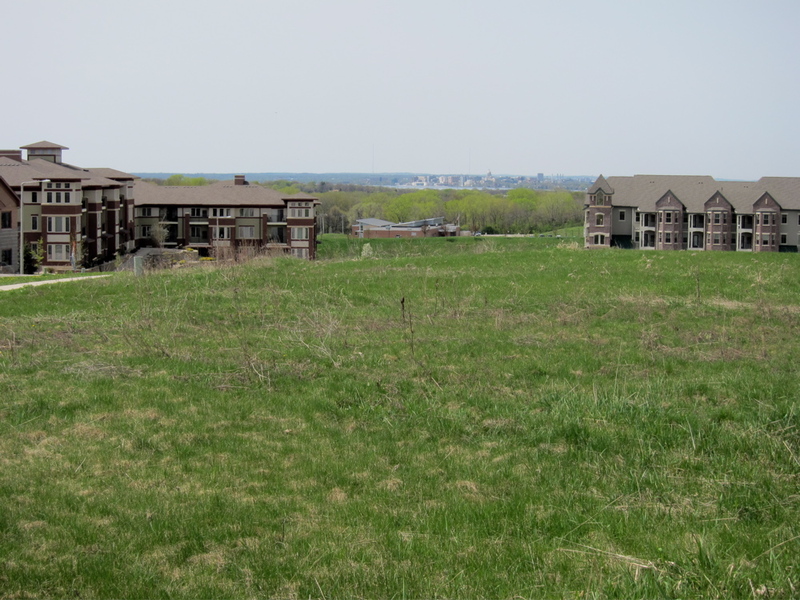 Though Curry arrived in Madison 20 years later, he might have heard about Dead Lake Ridge and tried to recreate it in Madison Landscape. 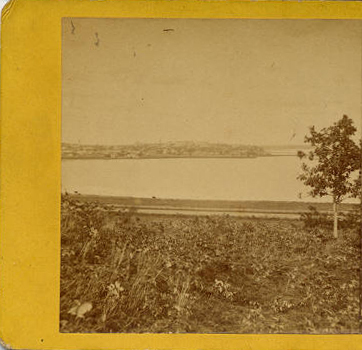 Then I found his artist’s statement: “… a view of Madison and Lake Mendota seen from a hypothetical hill.” So it’s just coincidence: to show off Madison’s isthmus, Curry invented a high point at the same location as the old dividing ridge. Madisonian David Thompson has a great blog which he describes as “a newsletter of ideas about the Upland-Hillcrest Greenway, Sunset Village Creek, and wider issues of restoring our natural streams in Madison.” Recently the Capital Times featured Thompson and Madison’s lost streams, including what he calls Sunset Village creek (which once flowed into Willow Creek near what is now Hilldale). 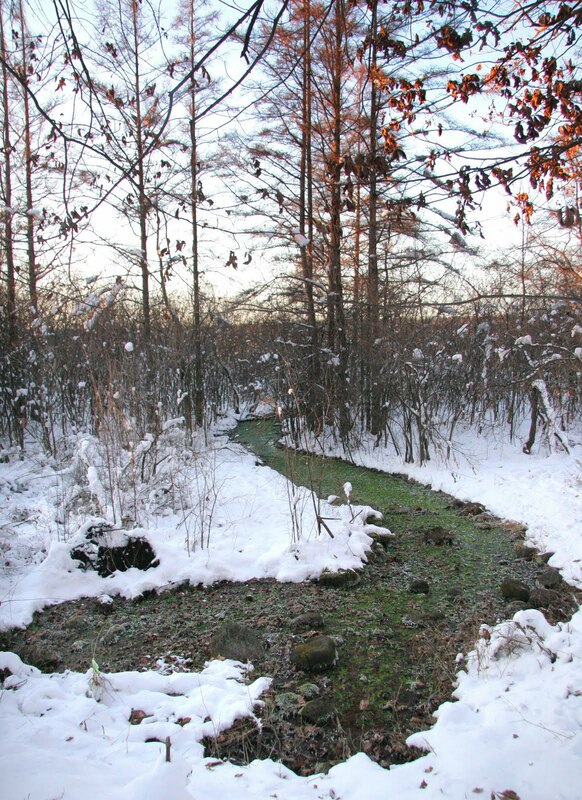 Thompson’s Dec. 15 post, “Unseen, beneath our feet,” has some fascinating information and photos about another realm of Unseen Madison: the many wonderful springs that surround and flow into Lake Wingra and the groundwater beneath that feeds them. See the post at saveourstream.blogspot.com. Where exactly was Dead Lake Ridge? 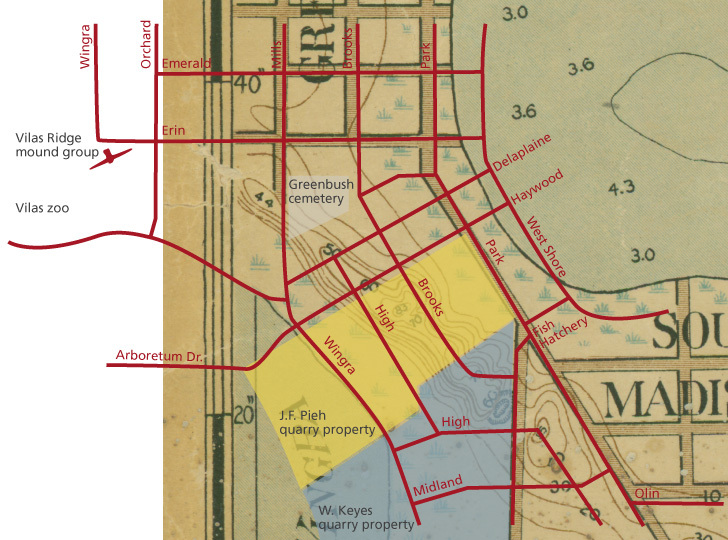 See two stunning 1870 stereoscopic photos of Dead Lake Ridge, plus maps of today’s streets superimposed on 1901 Madison. Dead Lake Ridge was still a high and formidable feature in 1901, though quarrying was well underway. Note the wetlands on both sides of the ridge — lakes Wingra and Monona did not have distinct shorelines. 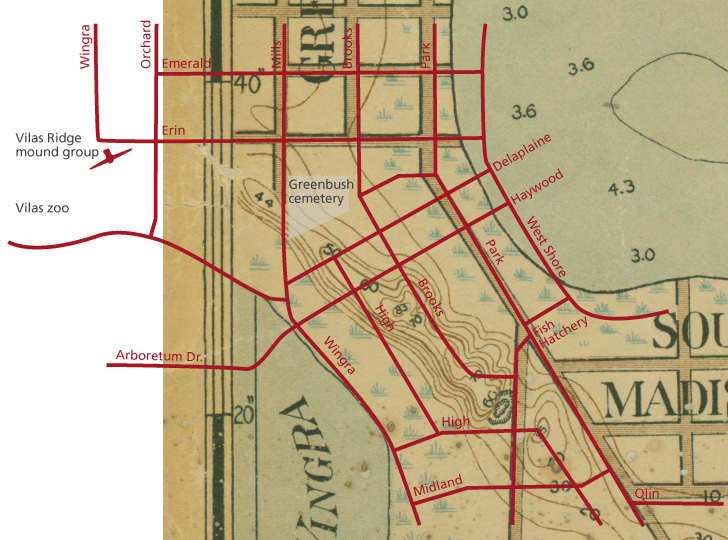 Park St., West Shore Drive, and N. Wingra Drive are built on fill.